So as always before I continue her story, if you are joining this series of posts today here’s the background, and for anyone who has read it, as usual skip to the end of the italics. Harriette tells us that the following Saturday, despite previously putting the young Mr Meyler off she had to endure his company in her opera box, because he was there at the request of her friend, Julia, who had paid the rent on half the box, so Harriette could not in all fairness turn him out. She then claims she is teased and taunted into riding home in his carriage with Julia, but she refused bluntly to let him come into her house. She says they both laughed but Meyler continued in the ‘same humour for two months’. 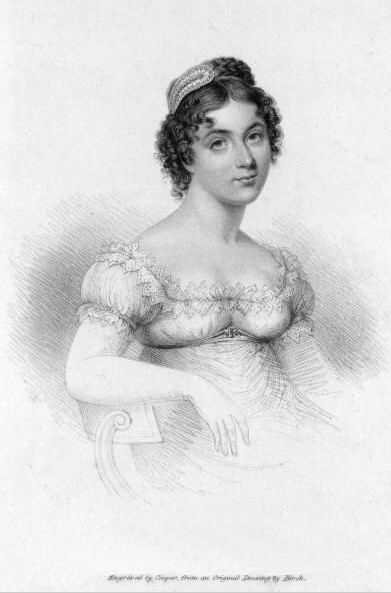 She says (perhaps sounding as though she claims it a little too much and is writing this piece for the benefit of Lord Worcester and his family) that she never once let him into her home, and protested frequently that she did not want him in her opera box, ‘but Meyler had so many little winning ways, really they were overpowering to a poor weak woman!’ – Harriette poor, and weak? – who is she kidding. Now this bit is one of the little gems she tells that has the ring of truth. ‘He would tap at the door of my box, and Julia would open it, and assure him that I should quarrel with them both if she admitted him: and Meyler, instead of looking cross, would sigh! And point to a rose in his bosom, and desire Julia to tell me that it was the rose I gave him a week before, and he had preserved it with the greatest care. Then he would go downstairs, and then his legs were so beautiful, and his skin so clear and transparent, and Meyler was sentimental for the first time in his life! Besides his good-looks and such sentimental touches, he would always wait to greet them at the theatre door, and Harriette’s says if they had any problems with carriages he would come up and whisper that his was at the door for their use, but he would not enforce his presence within it, instead joining a friend and leaving the carriage to them – far more the behaviour Harriette craved to be shown. She liked men who displayed obsession and treated her like she was a treasure. She tells us that Mr Meyler did succeed in speaking to her daily but never alone, and again assures us he was never permitted into her house. Though he did ask her numerous times to break her agreement with Lord Worcester and instead accept an agreement with him. She refuses, claiming that she could not endure a duel, and have them both killed, or Lord Worcester dying abroad while she suffered guilt over breaking his heart – wait for it – ‘I should never get over it: else, you know I am full half in love with you, and Worcester knows full well I was never, one bit, in love with him. She says she had no faith in him, but that she had no faith in herself either, and so, rather than betray Lord Worcester she makes a decision to retire to a village in the country. Saying, she owed it to Lord Worcester who had done so much for her. On her parting with Mr Meyler, he asks if he may write, and she agrees he may, but tells him his letters can only include friendship as she shall show them to Lord Worcester. He then gives her a lock of his hair in a silver tooth pick box – I love that they used to give each other hair. I love looking at trinkets like that in historical houses, I find all that so fascinating. Posted on October 20, 2013 by janelark •	This entry was posted in Regency Stories, Scandalous Women and tagged 1800s, 19th Century, Courtesans, georgian, Harriette Wilson, Historic Houses, Historic Memoirs, Historical Memoirs, Historical Novels, Historical Romance, history, Jane Lark, novels, passionate, regency, regency books, Romance, writing. Bookmark the permalink. I really enjoyed it. I came across a post on Facebook and followed the link. I will coming back to read more.